Two Huskies Meet Newest Member Of The Family…And It’s CUTER Than Ever, Just Watch! These two huskies, Arctic and Kobie, are about to meet the newest family member and can’t be more excited! But little do they know…the new animal is a tiny kitten! 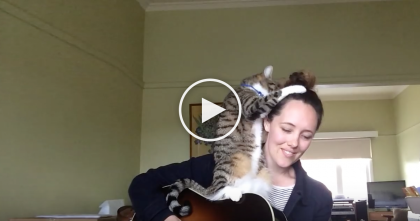 Diesel, an energetic tabby kitty, has no problem holding his own in front of the big dogs and whaps them on the nose a few times to show who’s boss! 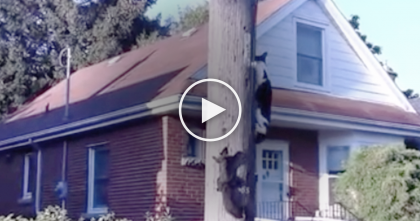 Watch The Cat’s Reaction When They Introduce Him To A Vacuum Cleaner… I Can’t Stop Laughing, LOL. 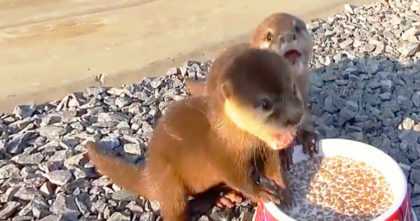 Baby Otters Were Kidnapped & Starved, But Then Rescued… Now Watch Their Response To A Meal! 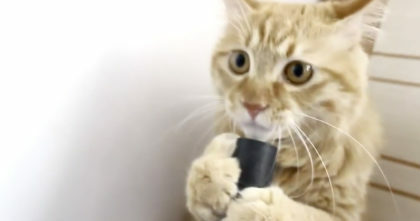 Cat Discovers A Pomegranate, But Then… There’s Just No Hope, Just Look At His Fur…Oh My! !